Home Health Care	Emojis, iPads and G-tubes, Oh My! Have you ever tried to imagine feeding and swallowing treatment from a young child’s perspective? You might remember early negative feeding experiences making treatment challenging. You also might not fully understand concepts like “appetite” or “hunger.” Most likely, you also don’t really get why you work on feeding or what short- and long-term goals mean. Working with young children who don’t comprehend why you’re there and what you’re helping them achieve can add another layer of complications to an already delicate process. Especially when transitioning from a gastrointestinal tube (g-tube) to oral feeding. Feeding treatment can feel like a curvy, unpredictable path without mile markers. 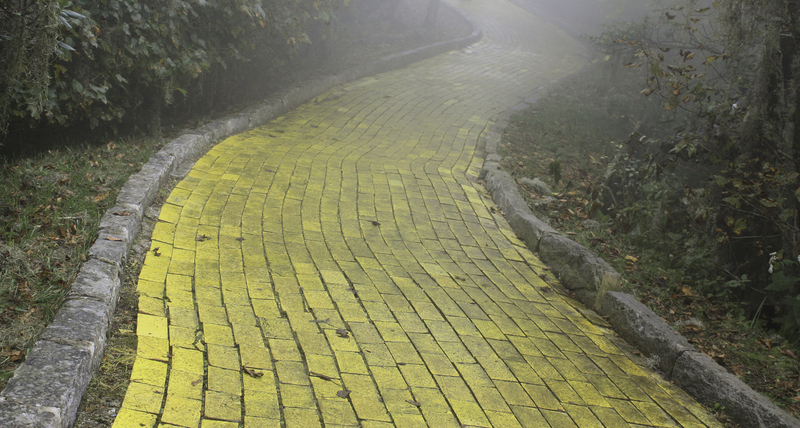 As the Tin Man, Dorothy and the Scarecrow head down the yellow brick road in the “Wizard of Oz,” they anticipate meeting “lions, tigers and bears.” Much like this tale down a tumultuous road, overarching fear and anxiety can often create an obstacle in providing feeding interventions. NICU Practice Series: What’s the Best Follow-up After Discharge? I find helping clients understand the big-picture goal motivates them to continue down the path of feeding treatment, even when it seems scary or uncomfortable. I often turn to technology to communicate with clients and families. Easily accessible technology like sending photos or the universal meaning of emojis allows me to communicate these goals with my young clients quickly and clearly. For example, a normal daily eating routine for many families involves grazing. Parents feed kids and themselves when schedules allow with no evident meal times. Talking about what having an appetite means and feels like, what a meal looks like, and which foods are proteins, carbohydrates, fruits and vegetables can help lay the groundwork for helping families understand and achieve goals. Next, I help clients and their families move toward healthy eating patterns. Communicating those concepts with the help of photos and emojis makes understanding more immediate and can more actively engage families. Here are some strategies I use to help children feel more comfortable with new foods, provide tangible mile markers, and help the journey from g-tube intake to oral feeding go more smoothly. Create a social story to help the child understand why they come to feeding treatment. The social story could begin with pictures of the medical events leading to g-tube placement, the process of increasing oral intake at home and in treatment, and information about getting their tube removed when they reach a specific level. Create weekly goals for different types of protein, fruit/vegetable and carbohydrate intake. Challenge your client to text or email food emojis once they take tastes or have experiences with these foods. Help clients identify how their body feels before and after food experiences and when gastric discomfort should concern them. Work on increasing their ability to communicate discomfort and considering alternatives to spitting out or moving away from food using photos of smelling, licking or playing with food. Or how about an emoji sticking out its tongue? Providing visual supports can also help you create a gastric discomfort scale by assigning the numbers one through five to various images of people with stomach aches. Educate clients in ways they can “reset” when they feel overwhelmed. Help them identify calming strategies when their sensory system becomes overwhelmed. Offer them images of scenes they like, such as beaches, mountains, animals or other calming imagery. Send a short video of yourself taking deep breaths that they can mimic, or perhaps find a video or song they like so they can sing along or just listen. Give clients immediate and frequent feedback by recording sessions and playing moments of success. Continue to communicate the purpose and long-term goals of treatment during each session. As our feeding/swallowing clients and caregivers become engaged team members, treatment can be an adventurous trip. Unlike lions, tigers and bears, emojis and iPads can provide comforting connectivity when managing the transition from g-tube to safe, oral feeding. Could Voice Therapy be a Remedy for Stuttering? Are you a certified Dietician?